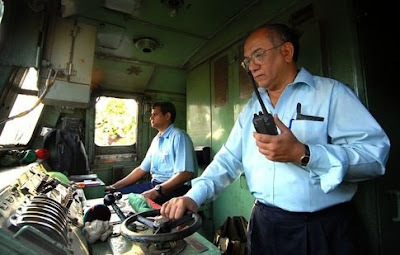 A visit by members of the Passenger Amenities Committee to inspect the Moradabad and Bareily stations of the Northern Railway on Thursday courted controversy when one of them allegedly abused a railway officer over a malfunctioning air-conditioner. The Northern Railway Officers Association had registered a complaint with the Divisional Railway Manager (DRM) and marked a copy to the General Manager, Northern Railway, and other senior officials. The DRM has called for action against the three PAC members: Dr. Ashok Tripathi, L.P. Jayaswal and Mohammad Irrfan Ahmad.